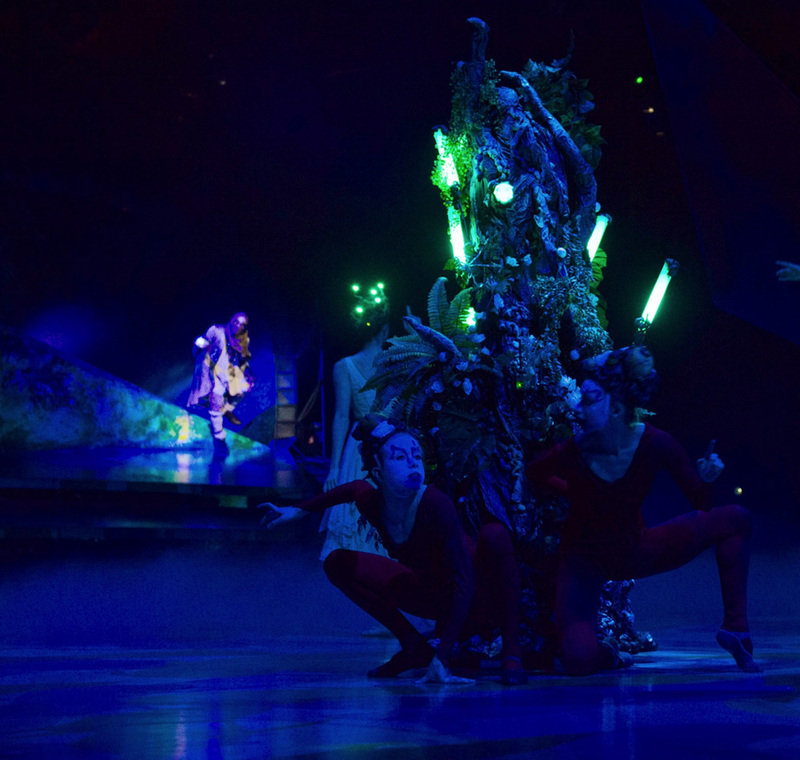 A lost traveler discovers and attempts to enter a lush, sacred land with his offering of light. 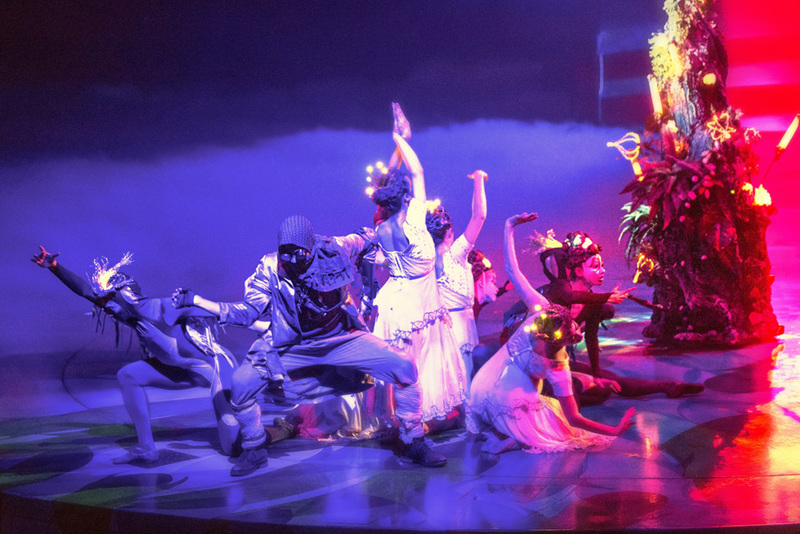 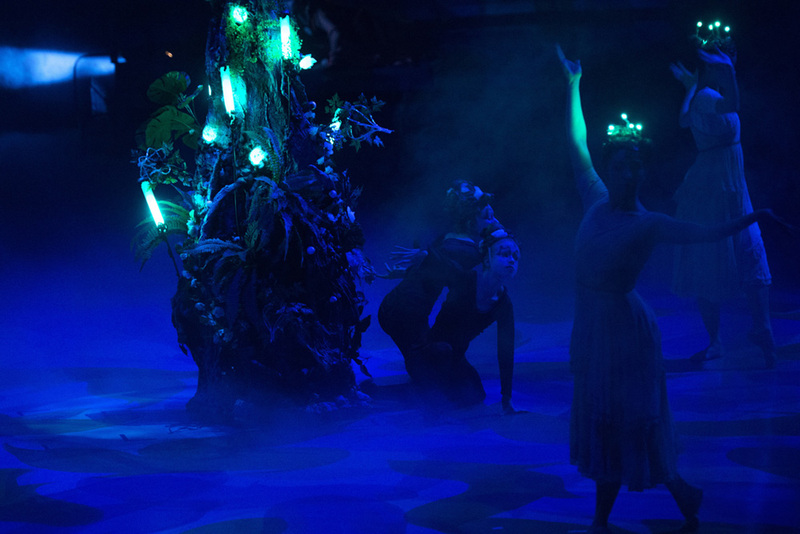 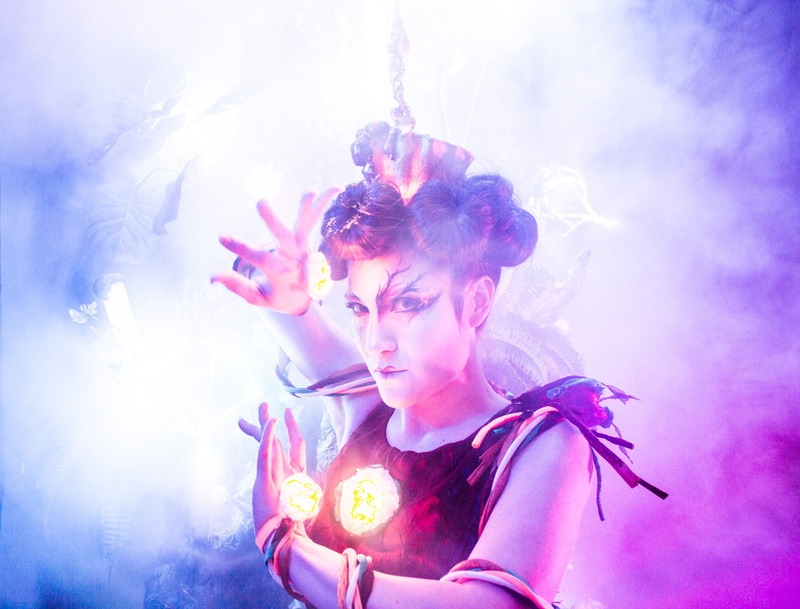 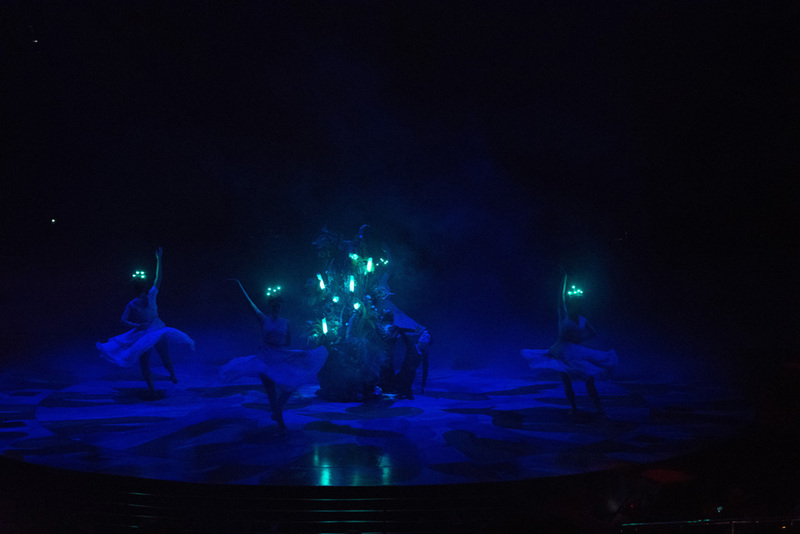 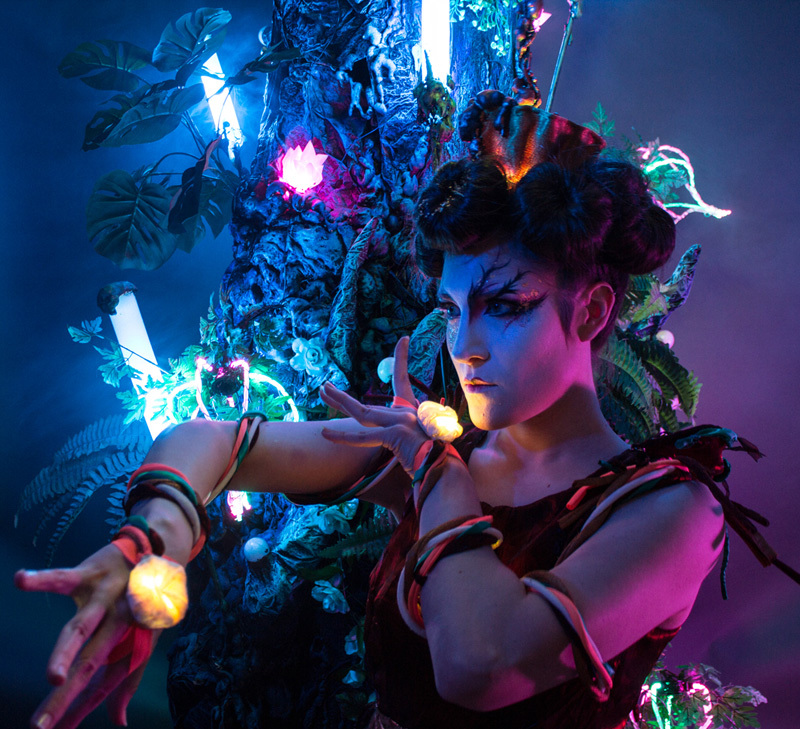 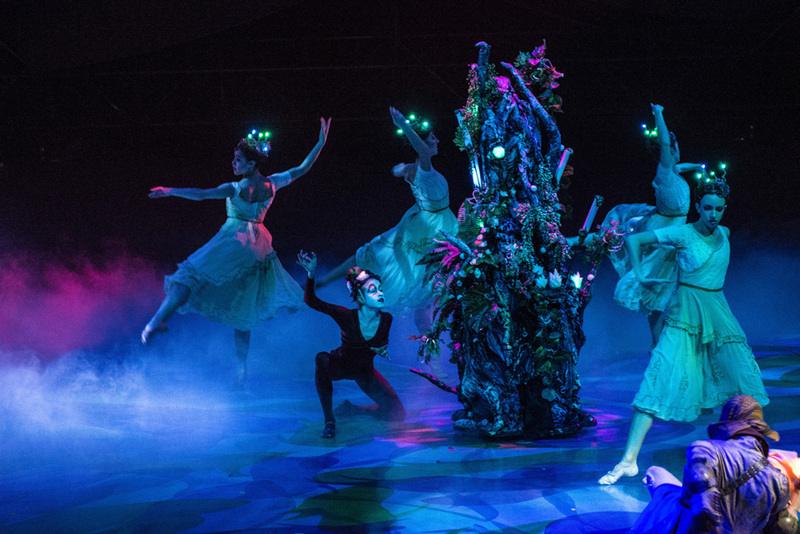 Oasis is a 6 minute theatrical work that fuses contemporary ballet, hip hop, and operatic live vocals with wirelessly controlled LED costumes and set pieces. 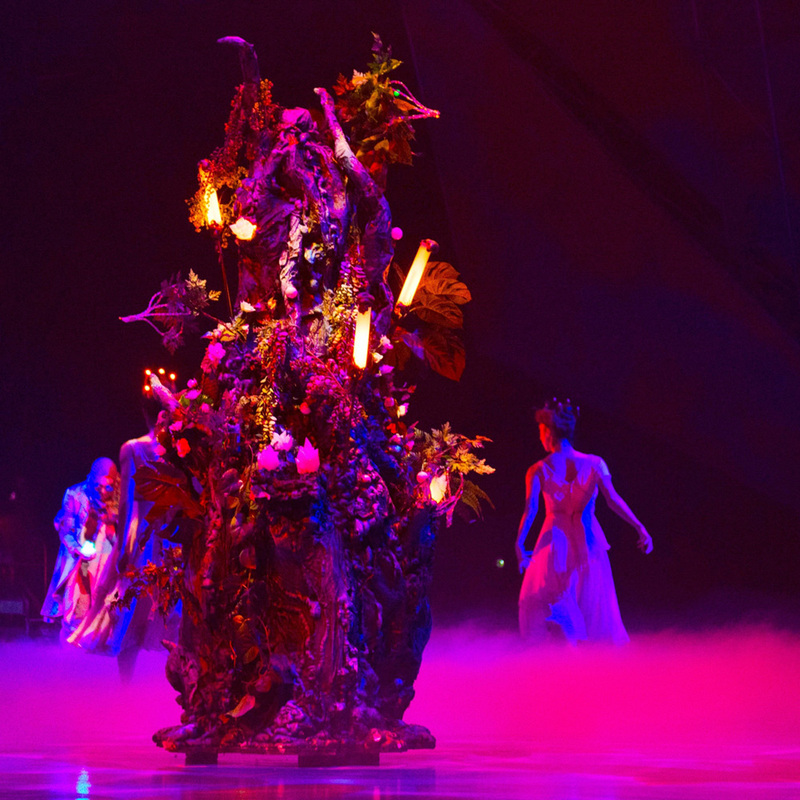 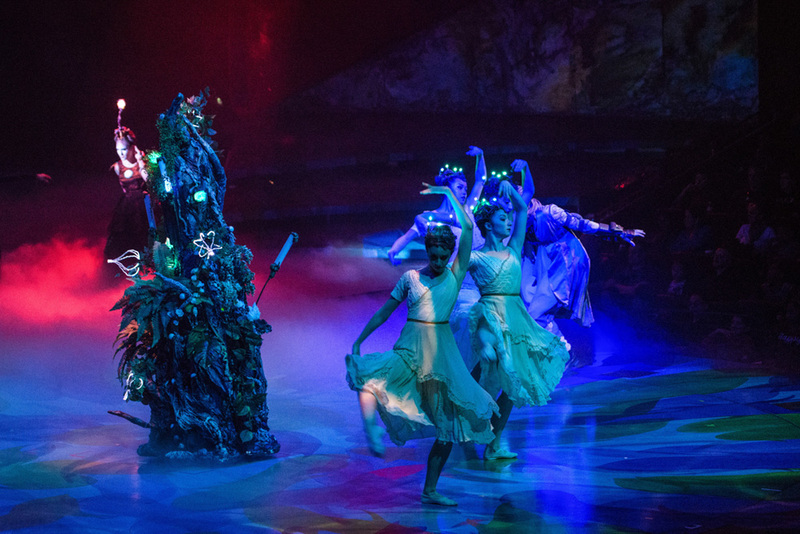 It was set to original, new music by Martin St-Pierre and performed on the Mystère stage as part of A Choreographers' Showcase for 2016.